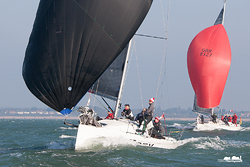 It was a day of shifty, gusty winds and steep waves for the fourth weekend of the 2016 Hamble Winter Series, which this week played host to the Hamble Big Boat Championships and the Hamble One Design Championships. The race team saw a maximum gust of 26 knots, with an average wind speed of 17.8 knots from a wind direction that swung between 050-090°. 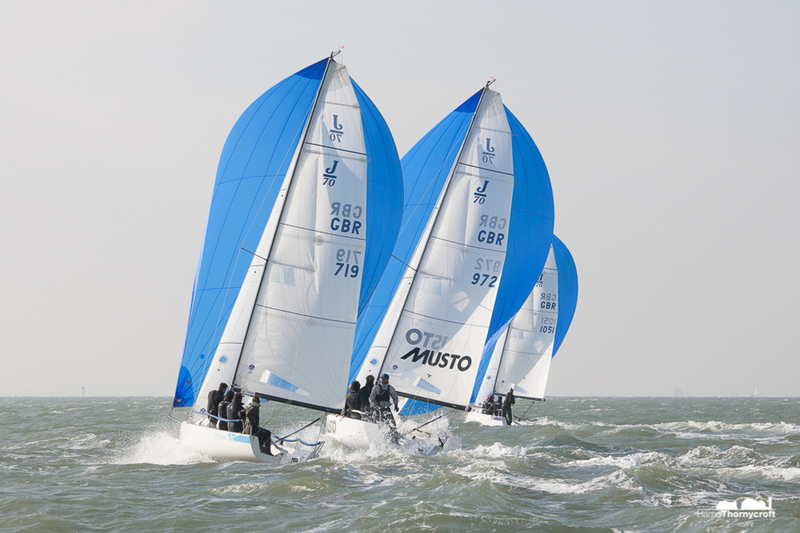 Combined with a strong cross-tide, this gave competitors some challenging and exhilarating sailing. 'It was a great day's sailing for everyone and a big thank you to all the race team volunteers that make it happen' said PRO Stuart Childerley. One discard kicked in with this weekend's racing completed, which has shaken up the overall results in some classes ahead of a break weekend next week. 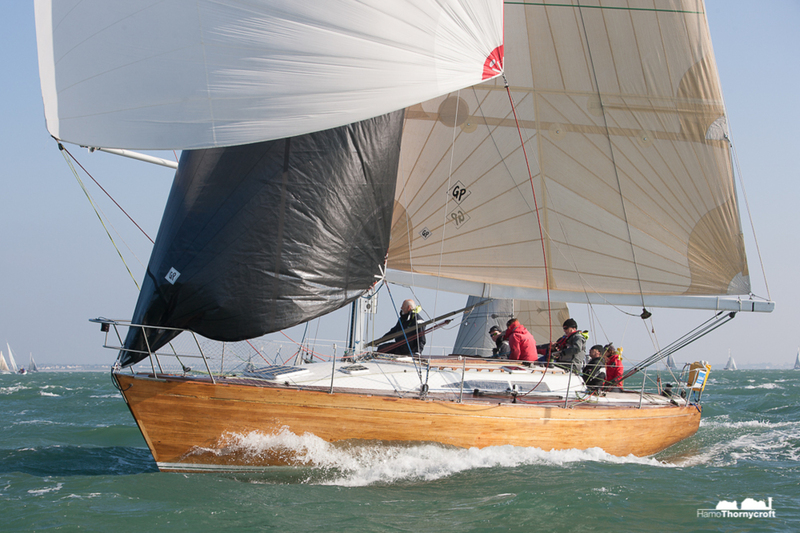 In IRC 1, series leader Roger Bowden's King 40 Nifty scored a first and a third, leaving them seven points clear at the top of the results table with four races left to sail. Richard Patrick's First 40 Dusty P had their best day on the water so far this series, with a second and a first to place them second overall. 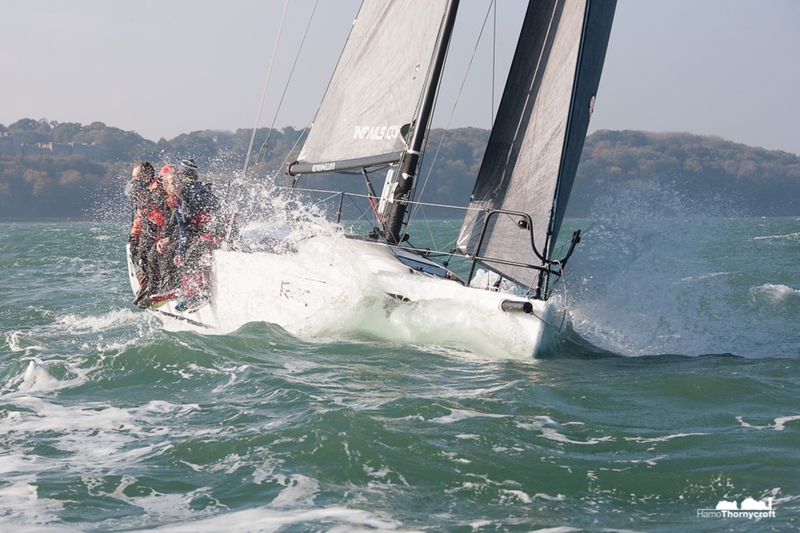 15 seconds behind in the first race was James Wilkie's Reflex 38 Fast-Tack Puma, whose third and second place on Sunday leaves them third overall by four points. 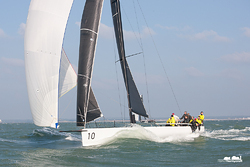 IRC2 was very close between Mike Bridges' Elan 37 Elaine and Simon Perry's J/109 Jiraffe, who each scored a first and a second – with only 12 seconds separating the two boats in the final race of the day. That leaves Elaine just one point ahead of Jiraffe overall, with four races left to sail. Mike Moxley's HOD35 Malice scored two solid thirds which leaves them comfortably third overall. IRC 3 saw some of the closest racing of the day. 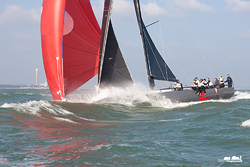 The first race was won by Robin Stevenson's J/92S Upstart, 22 seconds ahead of Annie and Andy Howe's J/97 BlackJack II and Kevin Sussmilch's Sigma 38 Mefisto – who were joint second on corrected time. The second race was even tighter, with Mefisto and Upstart joint first and Jamie Muir's SJ320 Scarlet Jester in third place. That leaves Upstart atop the podium overall, followed by Scarlet Jester and Mefisto. IRC 4 saw positions change throughout the fleet. 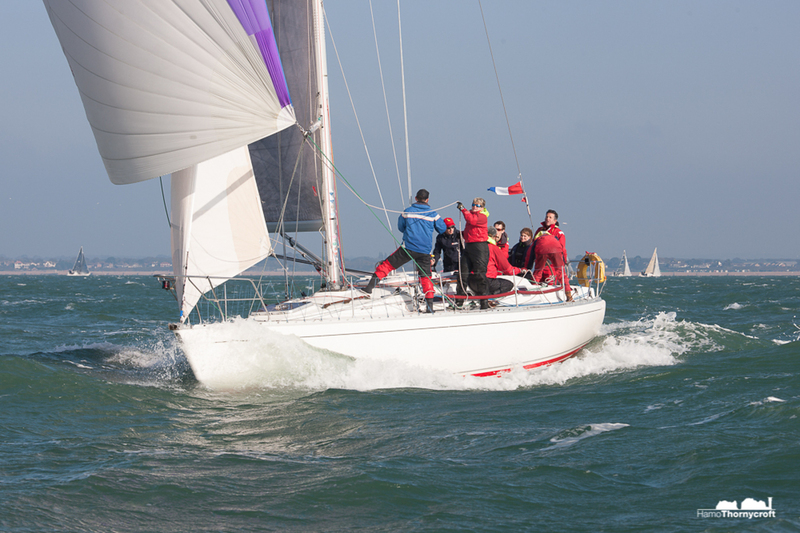 The first race was won by Sophie Chudziak and Bertrand Malas on their Corby 25 M'Enfin? !, finishing 24 seconds ahead of second-placed Respect, Stuart Danby's Mustang 30 Mk2. The Meakins and Cudmores on Impala 28 Polly were third. In the second race, only 36 seconds separated first and fourth place. Respect won the race, with Toby Gorman's Sigma 33 Stan the Boat in second and Jeffrey Dakin's Flashheart in third. Close finish of the day went to the three Impalas Uproar, Polly and Imptish who finished within four seconds on the water. 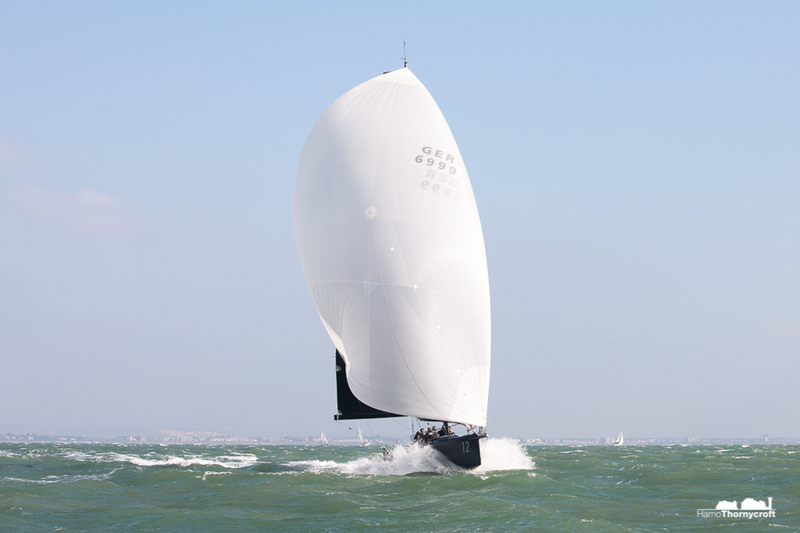 With four races to go, Giovanni Belgrano's Whooper sits on top of the overall results, six points clear of second-placed Respect – herself one and a half points ahead of Stan the Boat in third. 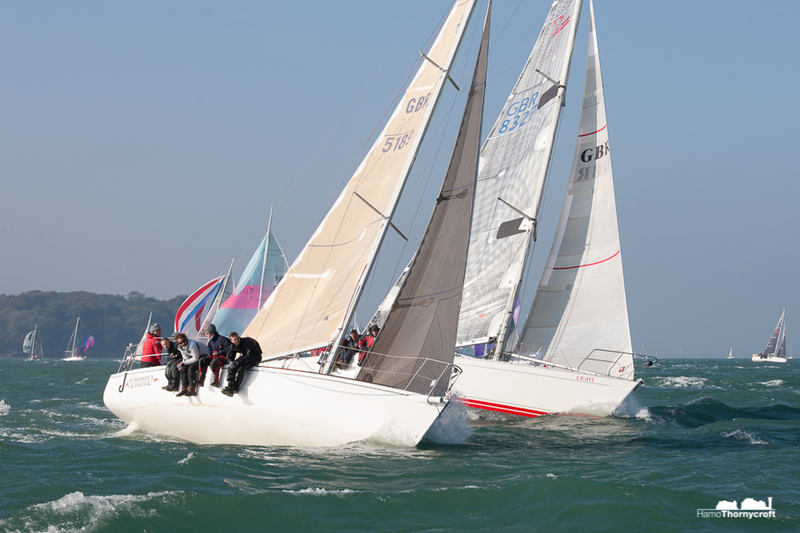 In the J/88 class, overall leaders, David and Kirsty Apthorp on J-Dream added a first and second to their scoreline to leave them four points clear at the top. Paul Ward's Eat Sleep J Repeat scored a third and a first, and now sit three points ahead of Gavin Howe's Tigris in the overall results. 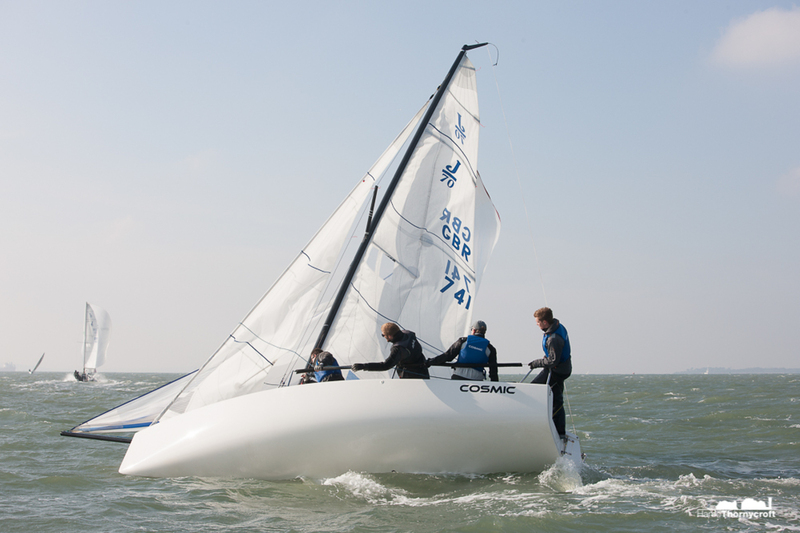 Tigris finished second and fourth in the day's races, with Dirk Van Beek's Sabriel Jr scoring fourth and third. The day sponsor was Key Yachting; and Marie Claude Heys was on hand to give out the prizes in a packed HRSC clubhouse. 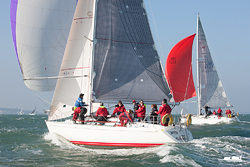 Prize for 'best start of the day' went to J/88 Tigris, while the Top Dog award, based on the best corrected time over distance sailed, went to the Fast 40+ Tokoloshe II. There is a well deserved Mid-series break next weekend, before the clocks go back and the series resumes on the 6th November with one race a day. 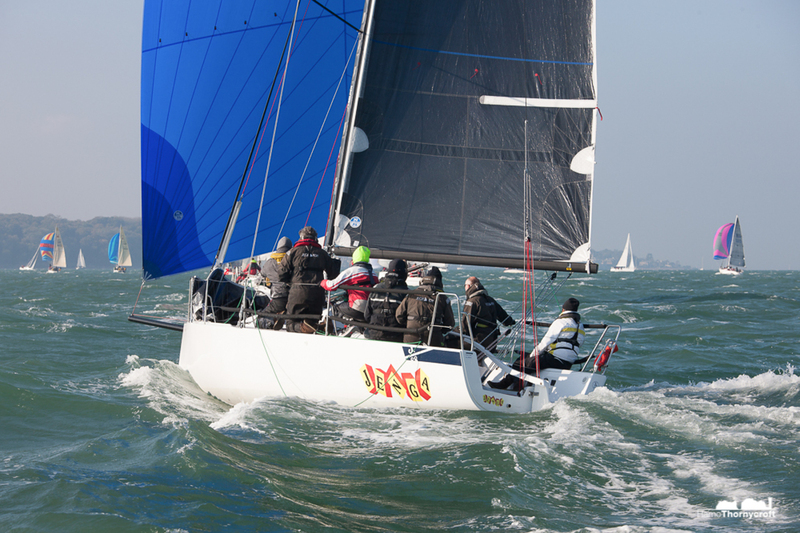 This weekend saw racing for Fast 40+ and IRC 1 classes, forming the second of two Big Boat Championships weekends on the Solent. Racing was close and exciting, with the Fast 40s in particular providing quite a spectacle as they planed downwind on Sunday. 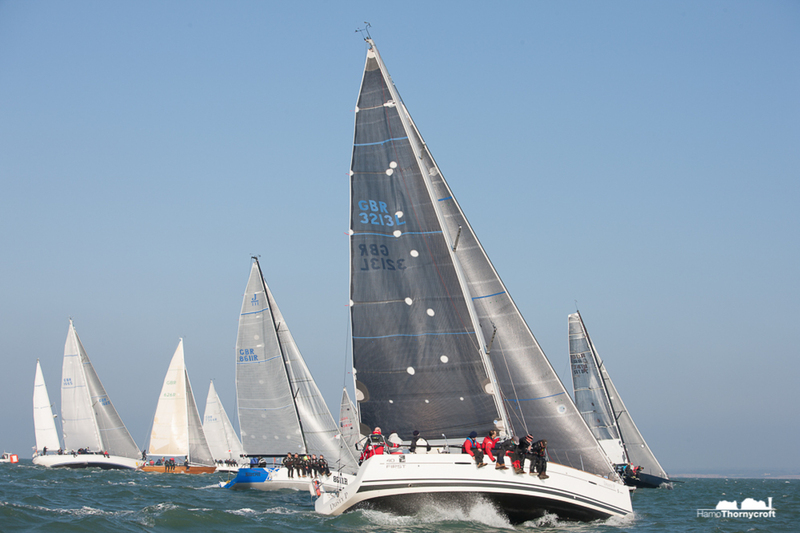 Twelve races were sailed over the two weekends, but the results were by no means a done deal until the final day. 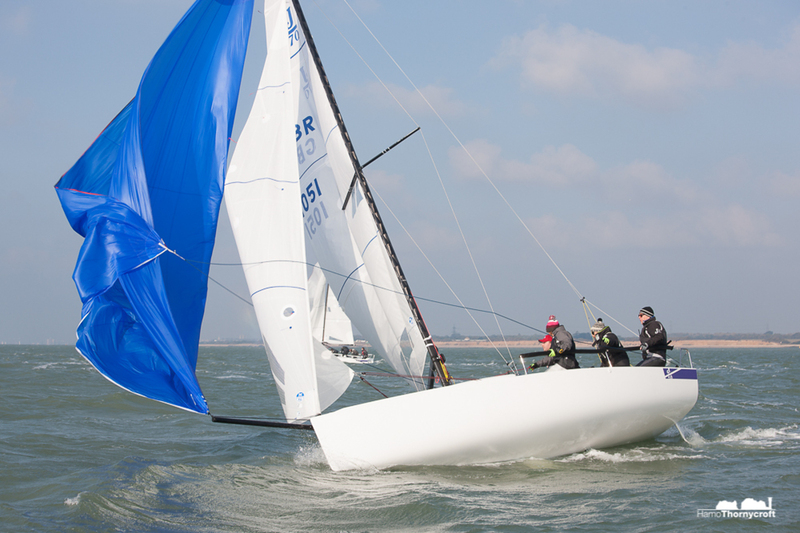 Four out of the five boats on the water this weekend scored bullets – but it was Peter Morton and crew on Girls On Film that narrowly took home the overall title with a three-point lead over second-place, filled by Dennis Gehrlein's Silva Neo. Silva Neo was one point ahead of K.Miller and crew on Zephyr in third. 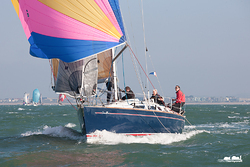 IRC 1 saw five winners in twelve races, and was won by Roger Bowden's King 40 Nifty. They sailed a consistent series, carrying only first, second and third places into the overall results after discards. 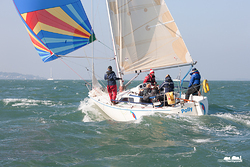 Ed Broadway's Ker 40 Hooligan VII was only 5 points behind, with a comfortable gap opening up ahead of the third placed boat, Richard Patrick's First 40 Dusty P.
Overall winner of the J/70 class, Mark Lees commented: "It is such a close class, that if you make one small mistake you lose three places". 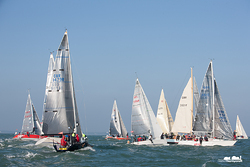 Sunday's exhilarating conditions gave competitors and race teams alike a grandstand view of some exciting sailing.' 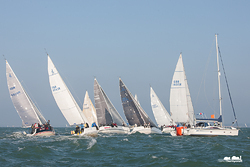 To demonstrate how close the racing was, eight boats won races in the 14-race series. 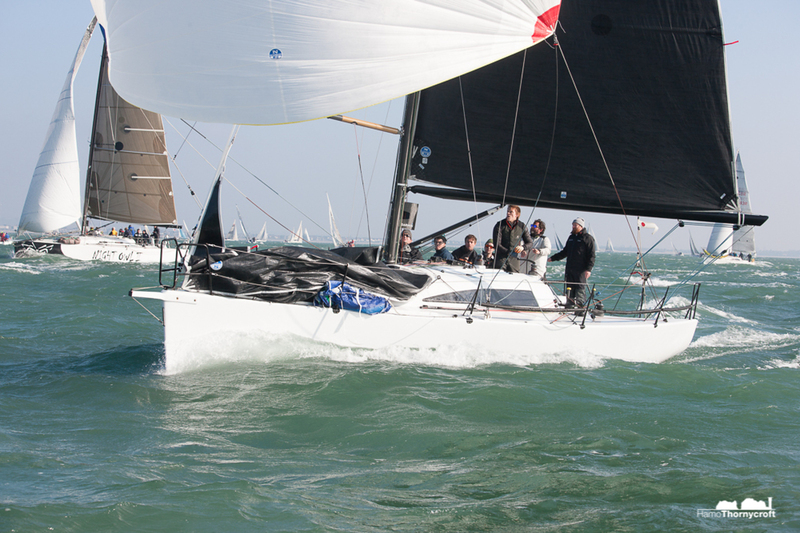 At the end of the weekend, it was Mark Lees and crew on Just4sale that topped the 20-strong J/70 class. They didn't have it all their own way, however, with boats snapping at their heels. 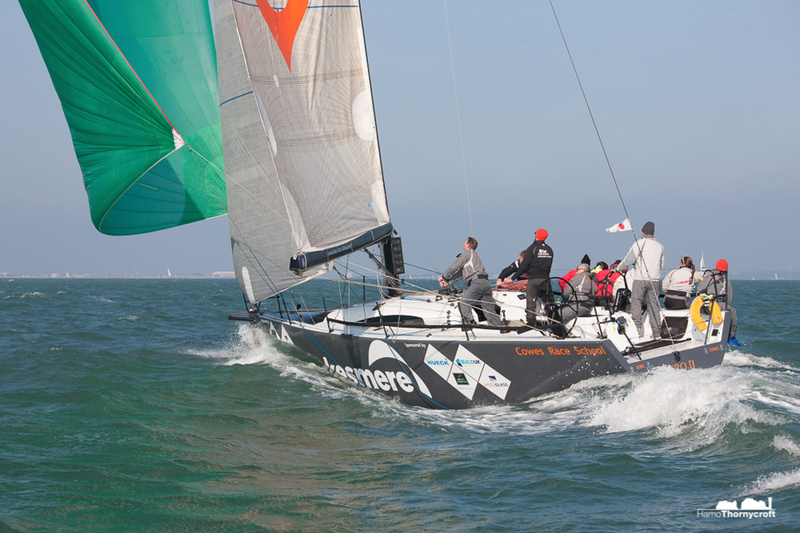 Simon Cavey's Just4play finished second overall, with Patrick Liardet and crew on Cosmic in third place. The J80 class was dominated by Jon Powell and crew on Betty, who cleaned up, winning 6 of the 7 races this weekend and 11 over the series. 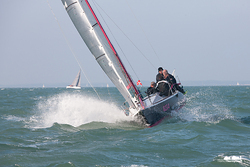 Second overall was Terence O Neill on Aqua J, with Michael Lewis and crew on Jester in third. This weekend was the last event of the SB20 Traveller Series, and featured some close racing, with one point separating first and second overall. 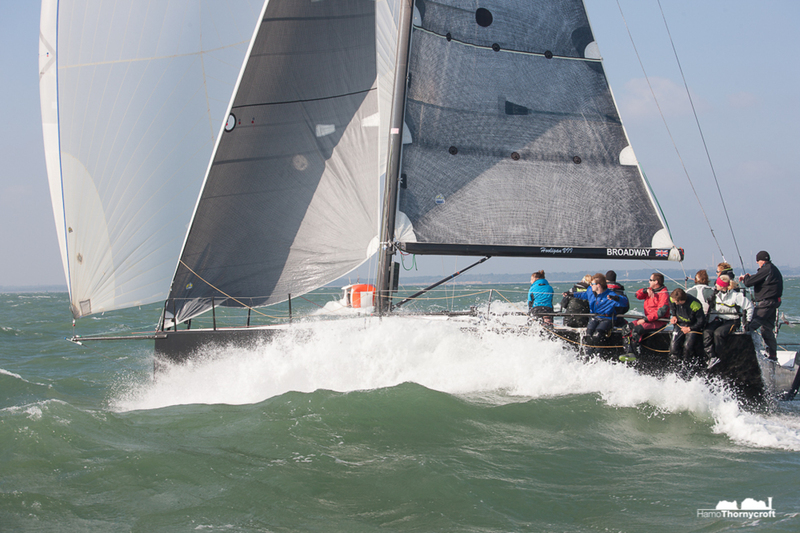 After a tight weekend of racing, it was Tom Clay's Whyaduck that beat Charles Sheppard's Shark, with Neville Askew's unnamed SB20 in third place - but it was Shark that took the trophy for the traveller series overall. Thanks to all competitors and the volunteers who run the racing - and we look forward to seeing you all next year for some more close and exciting racing.